100% Cotton. 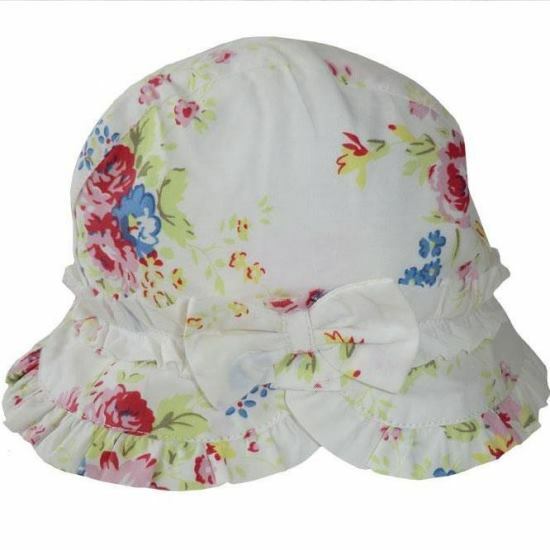 This vintage inspired floral sun hat will not only protect your little one's precious head but will look simply adorable at the same time. Featured frilly trims and a bow at the front.